The Oregon State game is being televised by FSN Northwest. It is NOT a "national" FSN broadcast. 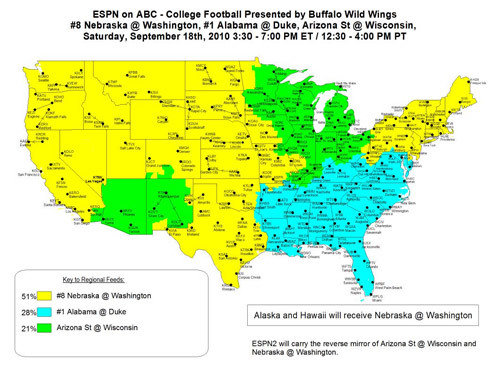 The game will be on FSN Northwest, FSN Arizona and Fox College Sports only. 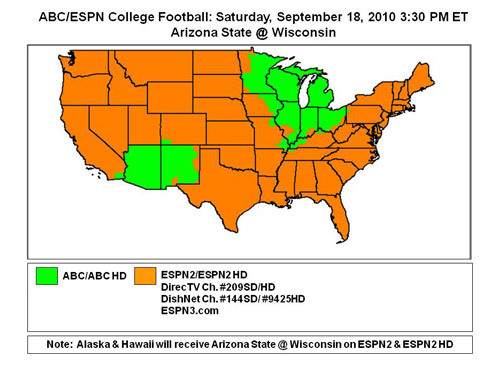 If you live outside the FSN Arizona or FSN Northwest markets, you will only see this game if you have a satellite package that includes FSN Arizona, or a cable package that includes Fox College Sports. Everyone in the US gets to see this week's game! "That's one of the best catches you'll ever see!" I wasn't expecting to post an article about baseball at this time of the year, but today's entry over at UniWatch could not be overlooked. Thanks to Randy Policar, Asst. 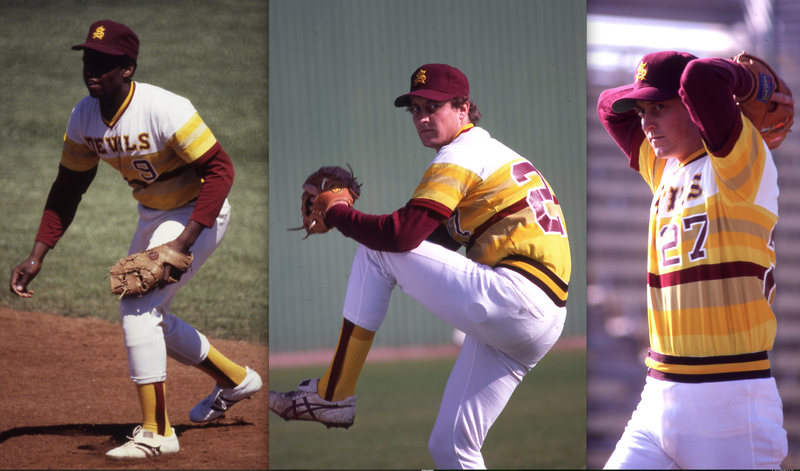 Sports Information Director at ASU, we now have the best shots ever of the Sun Devils' "tequila sunrise" uniform. Anyone remember in what year(s) these were worn?